Looks like part of Orthoptera order but can't find anything to guide me further than this. Not sure if its a grasshopper or cricket. 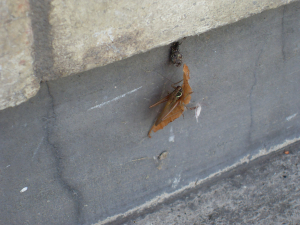 It is around 2.5 cm length, its antennae are about the same length as its body. I found it literally on my doorstep...think its still there! Should I move it to the garden?